We price check everyday and believe our prices are the lowest anywhere in UK. However, if for some reason you find the same product cheaper elsewhere email us and we will beat it. That’s our promise to you! 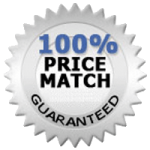 * The 100% price match promise is for the ‘Electric Adjustable Beds Only’. Don’t take our word for it check us out and see for yourself, email us on sales@electricbedsonline.co.uk and we would be delighted to discuss the benefits and services we offer in further detail. 1. All orders will be will be processed within 24 hours of us receiving the order with cleared payment (except when the item is ordered during a Bank Holiday or weekend in which case it is processed on the first working day after the Bank Holiday or weekend). 2. ELECTRIC BEDS ONLINE will send a confirmation email to you for the date of delivery with your unique consignment order number. 3. The item/s will be delivered to your address as per the confirmed information or at an alternative address if mentioned at time of order. Delivery in the majority of the UK is within 3 to 14 working days. At certain times of the year, notably Easter and Christmas, this may get extended due to the high volume of orders. Delivery is usually undertaken once per week but this may vary according to ferry schedules. Our on-line system will give a fictitious date in order to log the consignment onto our system and generate a pick request. You will need to advise your customer that they will receive a telephone call from our local delivery depot to agree a suitable delivery date. 4. All products delivered by our 2 man crew will be delivered to a room of your choice. Once the packaging has been removed you will be asked to inspect the product and a signature will be required to confirm that the product delivered is free from damage and is as described on the website. If you choose to sign for the product without conducting an inspection (e.g. if you ask the delivery crew to leave the product in an outside garage or un-packed in a room) you do so at your own risk and ELECTRIC BEDS ONLINE will not be liable for any damage or variation to the product description on the website that is found at a later stage. 5. As ELECTRIC BEDS ONLINE represents a variety of quality suppliers there will be different delivery times according to the individual supplier you have purchased your product from. All stock on our site is available for immediate delivery. If you are missing any parts/items from your delivery please email the contact customer services department at sales@electricbedsonline.co.uk and we will replace the missing items as soon as possible. Please note that ELECTRIC BEDS ONLINE nor its supplier(s) cannot be held liable for any additional costs you incur unless agreed in advance. 6. Neither ELECTRIC BEDS ONLINE (“we”, “our”) nor the supplier (s) shall be liable to you for any loss or damage to your property attributable to the product(s) being of a size and weight that cannot be supported by your premises. We are entitled to charge you for any additional costs as a result. 7. Please note that if you cancel a pre-arranged delivery within 72 hours of the agreed delivery slot we reserve the right to charge the re-delivery cost. This payment will be due before delivery.1. All orders will be will be processed within 24 hours of us receiving the order with cleared payment (except when the item is ordered during a Bank Holiday or weekend in which case it is processed on the first working day after the Bank Holiday or weekend). 8. If a courier arranges a time to deliver the product and no one is available to receive it we reserve the right to charge a £25 re-delivery fee. Payment will be due before delivery. Once you have been notified by the carrier’s intention to deliver your product you are required to take delivery within 14 days. If you fail to take delivery within 14 days you will be charged an additional fee of £25 per week to cover storage costs starting from 14 days after first notification that your goods were available until delivery has been made. This payment is due before delivery. In the event that a customer is not at home upon our arrival, our crew will wait 15 minutes whilst trying to make contact by telephone. If unsuccessful, a card will then be put through the door; the door photographed and the image sent to our Call Centre as proof of tender. Our Call Centre will then re-book an alternative delivery date with you, which will incur an additional charge. If no contact is made within 48hrs the order will be returned. Should you have instructed us to leave the order unattended at your house; a photograph will be taken of the items in situation for our records. 9. Please note that we use 7.5t vehicles, which are considered most suitable for home delivery. However, should a smaller vehicle be required you may incur additional costs and these will be advised to you in advance by our Call Centre. Therefore it is the responsibility of the customer to ensure that such a vehicle has legal access to their property and inform us about any weight, height and parking restrictions, as well as any difficult access points and un-adopted roads/ paths in order to help us deliver your order and ensure that we have made arrangements for the appropriate size of delivery vehicle to be used. Failure to disclose this information may result in an aborted delivery and a delivery charge being levied. In order to prevent damage to our/ contracted vehicles, un-adopted roads, paths and tracks will not be taken by delivery vehicles. Alternative routes must be provided by the customer. 10. ELECTRIC BEDS ONLINE contracted deliverers will not remove existing pieces of furniture to help make room for newly delivered products. Likewise, old pieces of furniture will not be taken away. The customer must take the responsibility to organize the removal and disposal of unwanted furniture. 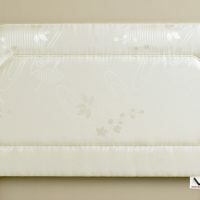 Furthermore customers are advised when accepting goods to have protective sheets available as the goods been delivered may have transferred through a number of warehouses and delivery vehicles. 11. Please note all our deliveries are for the UK only; however, if you would like a delivery outside the UK then please contact us via the form provided (contact us) and we will try to accommodate your specific order. DT7, EX, PL, TQ, TR, except TR21-25 (Scilly Isles) for which prices are available upon application. 1. In accordance with the UK Regulations, The Consumer Protection (Distant Selling) Regulations 2000 (“The Buyer’s right to cancel”), the Buyer has the right of cancellation within 7 days cooling-off period except where a Product is tailored to customer requirements and without fault. 2. To exercise the Buyer’s right of cancellation, the Buyer must give written notice to the Seller by letter or e-mail giving details of the Products ordered and where appropriate their delivery. Notification by phone is not sufficient. You must retain possession and take good care of the Goods until you send your cancellation notice to us. The goods cannot be used. 3. If you cancel the contract before or after the goods are delivered there will be an administration charge of 20% which will be deducted from your reimbursement. 4. You must make the Goods available and accessible for collection in the original packaging and the original, unassembled condition in which you received it, by us at a time when we will arrange with you and confirm with you. (We prefer to collect the Goods back from you when you cancel the contract.) Goods must be returned in the original packaging they arrived in. Goods assembled will not be returnable. 5. Goods cannot be returned if the customer has unpackaged, assembled or used the goods. Please note that unwanted mattresses cannot be returned once opened due to health laws. 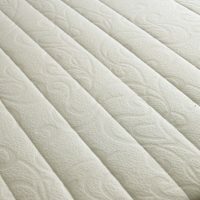 We reserve the right to send any returned mattresses back again if we believe they have been opened and/or used. 6. If for any reason you are unhappy with your purchase you can return it to us in its original sealed packaged condition within 7 days of the date you received the item and we will issue a full refund for the price you paid for the item (minus original delivery and return delivery costs and our administration charge of 20% wherever made by ELECTRIC BEDS ONLINE, will still be payable by the customer). If you wish to return the item simply because it was unwanted or unsuitable you will be charged both the outward and return carriage costs & the administration charge of 20%. You can expect a refund in the same form of payment originally used for the purchase within 21 days of our receiving your return. If you require an exchange, please place a new order online. 7. We shall be entitled to charge you (and off set against any money reimbursed) an amount not exceeding the costs of recovering the product incurred if you fail to return it or return it at our cost. This is termed a handling charge and will cover the cost of re-packaging the product, re scheduling the carriers and the administration of the process etc. 8. Please email sales@electricbedsonline.co.uk with your order & consignment number and which items you wish to return, to obtain a returns number which needs to be written on the outside of the parcel. Please enclose a note stating your consignment number and the reason for your return. 9. Your statutory rights are not affected. Damages must be reported within 24hrs of receipt of goods. In all cases goods can only be uplifted when packaged up in the same way in which they were delivered. Goods signed for “good condition” at the door or room will not be collected. Please contact us sales@electricbedsonline.co.uk to arrange collection. If you are returning an item because of an error on our part or because it is damaged or defective, we will refund in full with the delivery charges incurred in sending the item to you. You can expect a refund in the same form of payment.